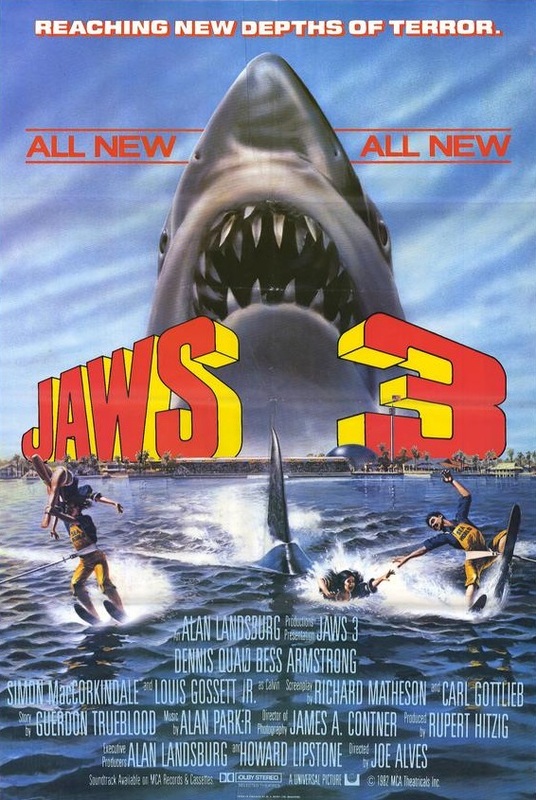 The Jaws series centres on the Brody family, led by Police Chief Martin Brody, and their repeated bad luck at seemingly being the target of attacks by Great White sharks. 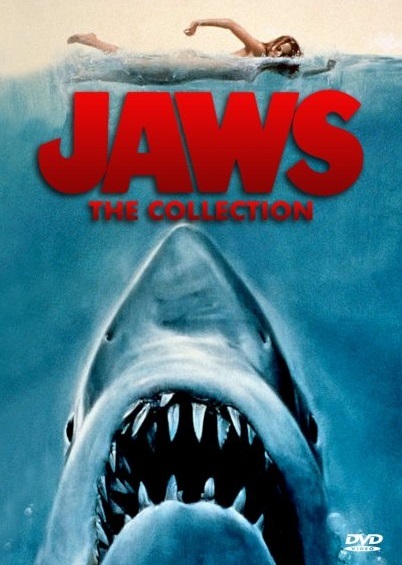 The original film was based on the 1974 book of the same name by Peter Benchley, and was directed by Steven Spielberg. It is widely recognised as one of the greatest thrillers of all time and became one of the first Summer blockbuster movies, grossing $470.7 million worldwide. The film’s main theme, composed by John Williams, is one of the most recognisable pieces of music in movie history and is cited by both Spielberg and Williams as being pivotal in the success of the film, and their careers from that point. 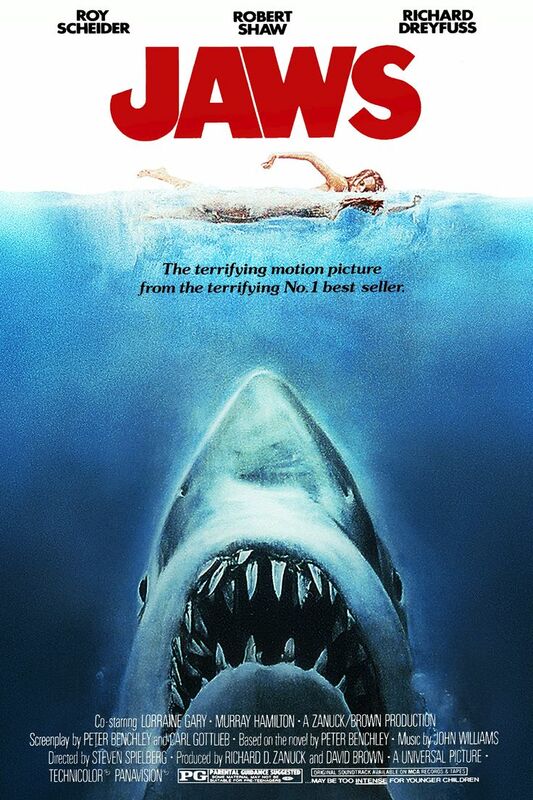 A man-eating Great White shark attacks beachgoers on Amity Island, a New England summer resort town, prompting the local police chief to hunt it with the help of a marine biologist and a professional shark hunter. Chief Brody suspects another Great White shark is terrorizing Amity Island following a series of incidents and disappearances. However, few believe him, and he must take matters into his own hands after his sons are cast adrift at sea. Years later, the Brody children now work at a Florida marine park with underwater tunnels and lagoons. As the park prepares for opening, a young Great White shark infiltrates the park from the sea. Once the shark is captured, it becomes apparent that a second, much larger shark also entered the park, and chaos ensues. 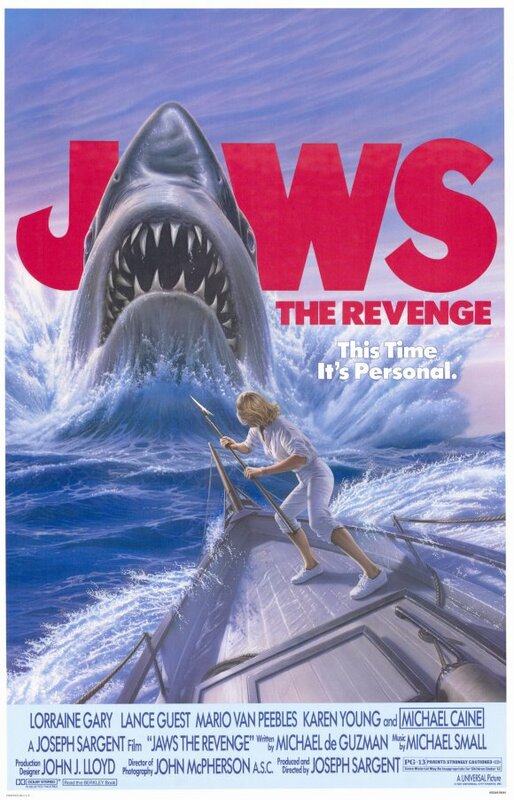 A now-widowed Ellen Brody becomes convinced that a Great White shark is seeking revenge on her family, particularly when it kills her youngest son and follows her to the Bahamas. There she faces the shark, along with her older son and a friendly airline pilot. 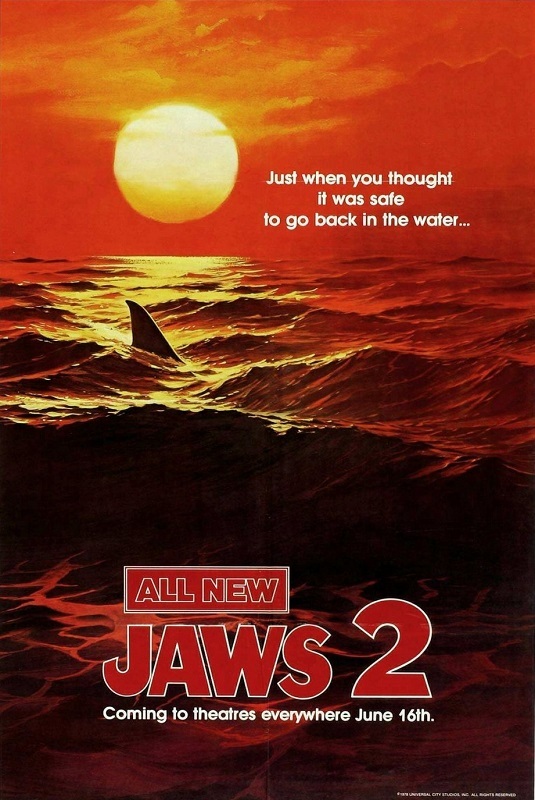 From the sublime to the ridiculous, the Jaws series is a perfect example of a film that never needed a sequel. The first movie did everything right, and none of the sequels were necessary other than to wring money out of the movie-going public. Despite the generally awful nature of the follow-ups, the original is still a respected classic and remains a thrilling film to this day.